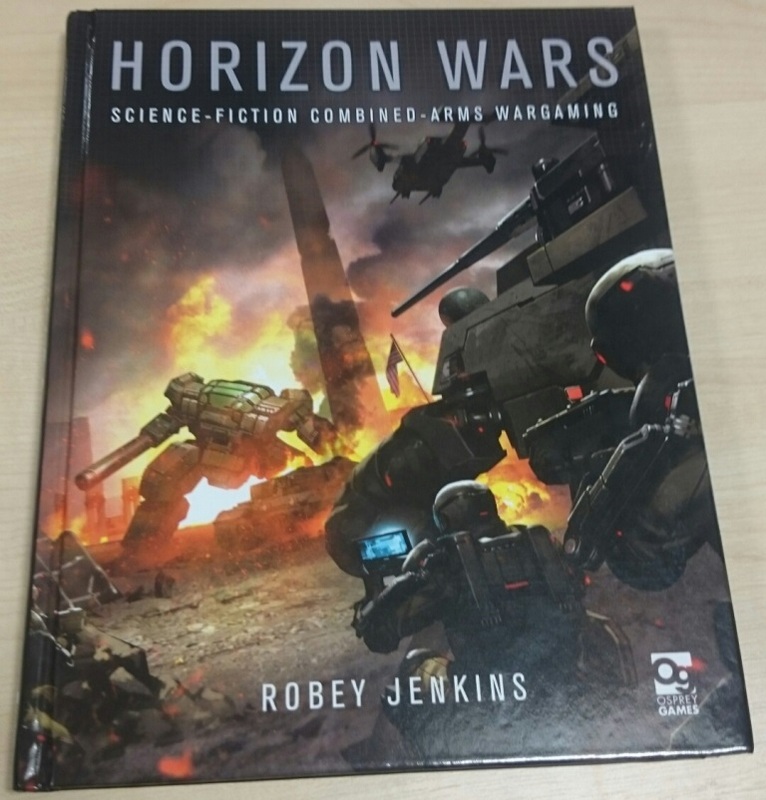 Horizon Wars is the new small-scale 6mm Sci-Fi wargame from Osprey Publishing, which is due to be released at Salute. They have very kindly sent me a copy to review. The author is Robey Jenkins. Now, you may not remember but we spoke to Robey way back in December 2012 in Episode 99 of the podcast, in which he was talking about his One Pound Wargames project, with the first release being a Sci-Fi Mech warfare game. This game was the genesis of these new rules. All being well, we will be speaking to Robey again at the end of March, and Podcast Episode 169 (due to be published on 15th April) will contain both that interview, and a review of the game. VERY PRETTY INDEED. I am looking forward to this one very much. Congrats, Robey! We are putting the “6” in 2016! Yay! I’m thrilled they sent you a review copy. Looking forward to chatting with you guys soon.